In the UK, more than 10 million people – or one in six - have some form of hearing loss. 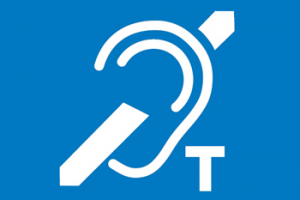 Not only is it vital that workplaces and public places are inclusive for those with hearing loss or impairment, the UK’s Disability Discrimination Act 2006 also mandates reasonable adjustment in order not to disadvantage those with hearing loss. Induction loop amplifiers, or hearing loops, are now routinely installed in UK work and public places. To help support the clear transmission of sound including emergency announcements, induction loop amplifiers should be annually maintained and calibrated. Compliance maintenance is not intrusive, overly-complex or cost-prohibitive, and supports your organisation’s continued compliance with Equality Act and Disability Discrimination Act requirements. Ensuring the amplifier is clearly labelled pass or fail, with immediate notification to the customer of any fails.